Define even the most sensitive eyes with high impact color with Nicka K's Eco Paraben-Free Liquid Eyeliners. Create sharp, intense lines with the super-pigmented black or brown eyeliners or make a bold statement with the gold, white or blue metal shade eye liners. Long-lasting yet ultra-safe water-based formula with eco-sustainable packaging that doesn't skip out on pigment. 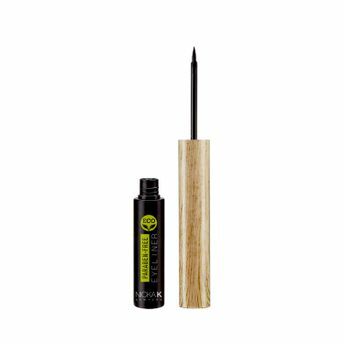 Alternatively, you can also find many more products from the Nicka K Eco Eye Liner range.